It's been awhile since a series hooked me like Solus did. I read books 1 - 3 back to back not wanting to put any of them down. 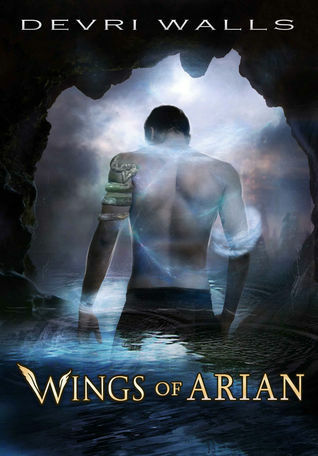 The series begins with Wings of Arian the story of Kiora and her Protector. Kiora is very special. She is the first person born in a thousand years that can defeat the evil that is slowing taking over the land of Meros. Meros is a land of peace and goodness, but Dralazar is escaping his prison and is determined to see evil across the land. This may sound like a bit of a standard fantasy beginning, but that is not the case. There are amazingly unique creatures and magics that are introduced throughout the story that give Wings of Arian a different feel than other fantasy novels. I particularly love the shapeshifters and their society. Their home is a place I wish I could actually see. As Kiora learns of her powers and her destiny, she meets these and other creatures no one ever even thought to exist. Some will be loyal to her and others will want to use her to prove their value to Dralazar - and through it all her Protector stands by her side. Do you hear romance in the background? Possibly, but with all the training and fighting against the ultimate evil to save the entire land, it's hard to start a new relationship - especially when they can't stand each other. Full of the magic and mystery that really defines what a good fantasy story is for me, this book earned it's five stars over and over again. This is turning into a favorite series already! I've been debating whether or not if I should read this, but after you gave this five stars and an excellent review, I think I'm going to give it a shot. Can't wait to dive in!